Estero Bayside is a beautifully maintained complex that was built in 2006. 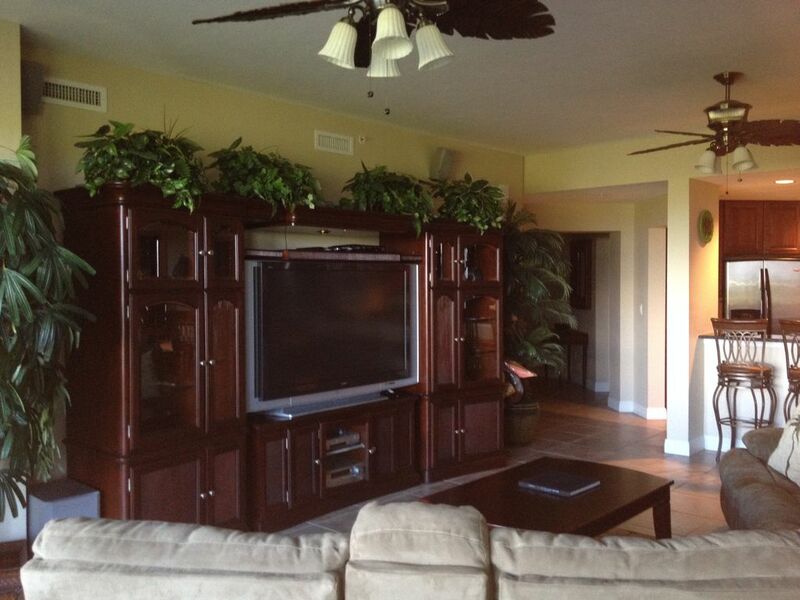 This Non-Smoking unit is located with public access directly across from the widest part of the beach on the island. Our nicely decorated, fully equipped third-floor unit is a spacious, three bedroom, three bath with a screened back porch. It is conveniently located within walking distance to shopping, restaurants, beach trolley, marina, pharmacy, medical center, golf, and movie theater. Besides the great location of this unit, there are plenty of things to do for all ages. You may feel like swimming in our heated pool. Watch the dolphins play and enjoy the unforgettable sunsets. Stay on the move or just sit back and relax... This vacation is for all!